The engine is the heart of the trucks, buses and utility vehicles of the Japanese manufacturer ISUZU. This is the reason that has led him to develop a technologically advanced and high-performance engine, capable of keeping up with its vehicles, with which it is a world leader. Powerful, low consumption, low noise and low pollution, after 75 years developing its engines and more than 22 million units produced, ISUZU has passed the test of time thus demonstrating its great reliability. 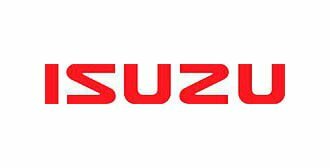 Numerous leading manufacturers worldwide in their sectors have chosen Isuzu for their equipment, as is the case of Hitachi, the CNH group, JCB or AUSA in Spain. TRANSDIESEL S.L., Official Service Center of ISUZU, distributes its diesel engines for industrial applications. Engines of 2, 3, 4 and 6 cylinders in line, cooled by water and with powers between 20 and 397 kW.